Awesome idea. Beer tap tables — bottom's up! Baltimore area is nexus for Irish company selling tables with built-in beer taps in the U.S.
A Parkton man had an idea that even the casual beer drinker would appreciate: What if you could draw your own frothy pint at the local pub? Turns out, perhaps not surprisingly, that someone across the Atlantic already had the same idea. So when Josh Goodman discovered he had a kindred entrepreneurial spirit in Ireland, he teamed with the small company there to introduce Americans to the Draft Master this year. 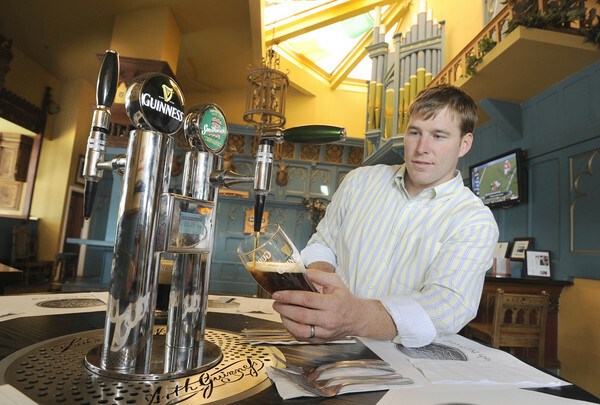 The mobile table fitted with beer taps is designed to let bar patrons draw their own brews and can be found in establishments in Washington, Pennsylvania, Connecticut, Massachusetts and Las Vegas.